Sounds like alcohol may be playing a major part. I hope he/she and the daughter are wearing life preservers before jumping into the pool! Thank you. I thought it was just me, and as a veteran of 5 Led Zep concerts and 2 other Jimmy Page appearances (Yardbirds), I was trying to find a way to relate philosophically to this post, which MUST somehow mix two of the favorite pastimes of my life (70s Zep and 21st century politics.) But now that I see it is just…..whatever it is….I will stop my attempt and go back to reading and learning as usual from the commentary on this page. 5 Zep and 2 Yardbirds?!?!?! YOU are my live music hero. I’ll raise you 3 Cream, 2 Yardbirds with Eric Clapton and 3 Who. Hopefully “TestName7” goes up the “Stairway To Heaven” alone and their daughter survives in good shape. Because they’re miserable, depraved, and Godless. Totally given over to their hellish lusts. Another Hollywood harlot who thinks that pedo is funny. Never seen anyone smoke ’em out like our Pres can. A good indication of the increasing depravity that engulfs us is the attempt by pedophiles to shed the pejorative moniker in favor of MAP, Minor Attracted Person. Such an abomination being introduced into the language as though it is an acceptable expression would have been unthinkable not long ago. Normalization. First step is to get people so they don’t say “ew” at the very thought. Want to have a good laugh read the RE-HIRE JAMES GUN petition. Do we remember when we found out that AG Lynch was threatening the NYPD with possible actions concerning the Eric Garner fiasco?? “…Tuesday, the US Justice Department released a statement saying it informed the NYPD in the spring that the department was to pursue disciplinary proceedings. City officials have denied the claim. De Blasio, who said he was surprised by Tuesday’s statement, asked NYPD Commissioner James O’Neill to speak directly to top DOJ officials. Perhaps the Weiner laptop information may become ‘accidentally’ released after all. Let’s hope spmeone has already come forward. I hope he’s watching it online and not on CNN or MSNBC. It’s live on those two networks, but FoxNews has the Jeanine Pirro Show (Yay!). So now I can’t even go to a Trader Joe’s…. !!!! Looks like the shooter crashed his vehicle into a utility pole (during a chase) outside that store, and it was the closet place to go into. So thrilled I happened to meet Buzz Aldrin as a teenager. Commander Aldrin, it was an honor! Godspeed! As a young boy, I wrote to many of the astronauts and, in return, received many really nice packages including autographs, photos and PR packs. My father was a member of the Long Island Astronomers Association, astronomy was his passion and he had some really nice telescopes that he would set up in the back yard (they were large enough that he needed motorized bases to orient them). He would invite neighborhood children to scan the heavens through them. Some of the other members had observatories that they would also share with interested kids, I remember visiting some of them and thought they were really cool. My father passed away on July 6th of 1969 at the young age of 49. I felt that he was cheated for not being unable to experience the Apollo 11 Project, sending the first man to the moon…he would have been so thrilled! I guess The Lord had other plans for him. George so sorry to hear that to your father passed away prior to Commander Aldrin’s historic trip. What a wonderful father to involve you and all of the neighborhood kids with eyes-on science! But I will tell you, Buz Aldrin’s speach the day I met him at the GTE headquarters, was that when he went up to space he was not really a devout Christian. But after returning to Earth, his faith greatly intensified. I will never forget him telling us that experiencing this event first hand, he would never know how else this universe could exist without Divinity. Maybe your father actually DID get a chance to see Buzz’s most excellent adventure after all! WSB, thank you for sharing that. You’re very welcome. Always brightens up my day, George! Glad it did yours. Any news on who killed GHW’s surgeon? Ok, the twit platform is claiming that a nice photo of our Lion is “potentially offensive material” or something. Well remember they claimed that the Declaration of Independence was offensive, so that is probably par for the course. That was Facebook (since recanted). He didn't tweet this because he believes it. He tweeted this because he knows the useful idiots will believe him without question and spread it around to reinforce their delusion. Carter Page FISA documents show convincingly that serious & significant factual evidence supported the warrant—and renewals. The national security need for surveillance was real & credible, as the FISA Court correctly concluded—repudiating false accusations by Trump cronies. Something I suspected WE ALWAYS knew..
VSGPOTUS WON the *Popular Vote* also..
.@RepGoodlatte @BobGoodlatte6 please follow up with Collyer and ask her if the released DOJ FISA application (#1) matches her copy of #1. Might be my fave #WalkAway vid so far? Agree that's reasonable. Steve Bannon told me Sessions was "scared." I asked "scared of what" and didn't get an answer. Scared Deep State would hurt his family. I don’t believe there is a bigger long game here as far as Sessions is concerned. I think everything is what it appears to be…he’s weak on Swamp draining. If that is true, the President should nicely release him from all AG duties and send him back home. If Sessions is ‘scared’, as Bannon claims, the President should start an intermittent series of tweets. Wait, that term is for someone from the Middle East not Central America. Whoopi needs to study up on being a bigot. 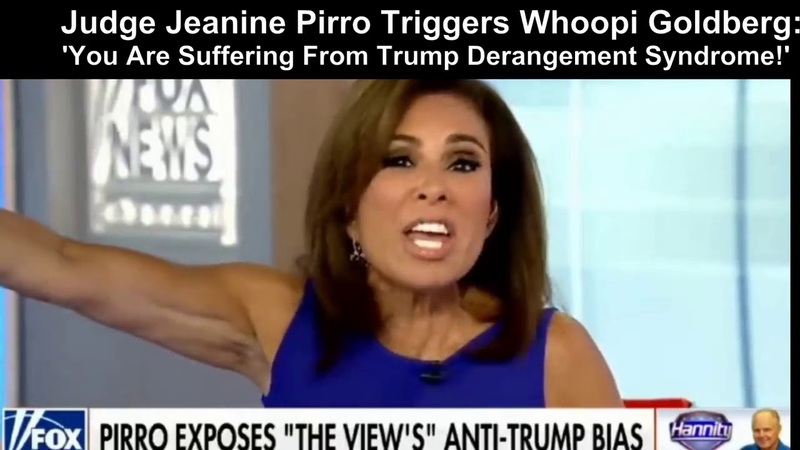 Jeanine Pirro is Lebanese descent. 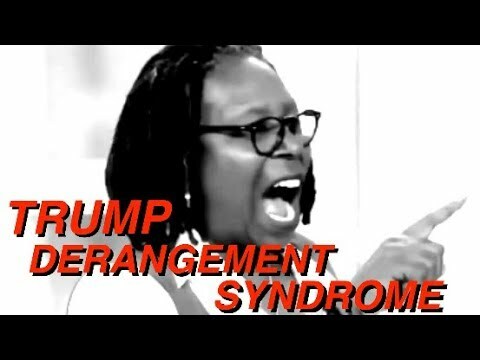 Whoopi just can’t control herself…. So, REX thinks he’s found the middleman between crooked FBI investigations and ClintonMueller. I may have found the middleman the Mueller/Clinton cabal was using, to communicate with the FBI while MYE (Clinton’s exoneration) was on, b/w Jan 26 – 11 Nov, 2016. Worthwhile reading. Rex’s thread says that Mueller has been involved since 2016. “Hillary donned a mumu-style top and white pants. Her hair was disheveled and she had very prominent bags under eyes. Absolutely a MUST SEE VIDEO /REALLY. That wasn’t a dress — it was a spinnaker. So, I’m casually looking at Breitbart, where they have https://www.breitbart.com/video/2018/07/21/maddow-feels-very-palpable-that-the-president-is-a-foreign-agent/ — yeah, I can well imagine that it feels very much like VSGPOTUSDJT is an agent of deplorable America, very much foreign to enemedia snowflakes like Maddow. Fired from Fox for dating DJT Jr.